Several of our members have built their own own exhibition layouts. 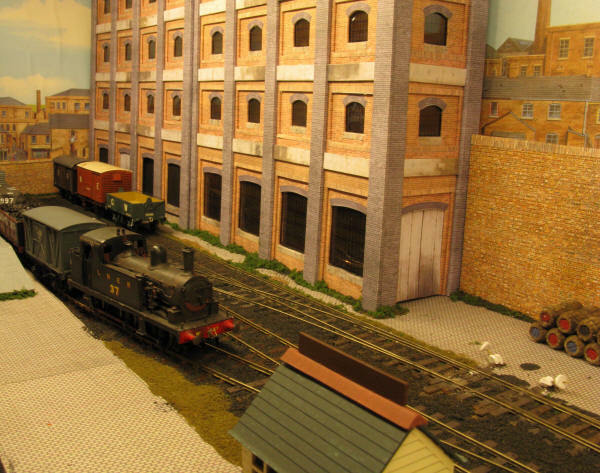 These are briefly described here and more information, picture albums and track plans for some of the layouts can be seen by following the links on the left or clicking the orange layout titles in the lists below. Other members' layouts are under construction and will be announced here when available for exhibition. Four members' layouts are listed below. Click on the layout titles to go to short descriptions of each, with a photo and contact details. All enquries about members' layouts should be addressed directly to the layout owners, whose contact details are given below. Scale: 4mm/ft, Gauge: 16.5mm (00), fictional shunting puzzle, children encouraged to operate. Approx 4ft x 1ft (1.22m x 0.31m) overall, plus space for operators. 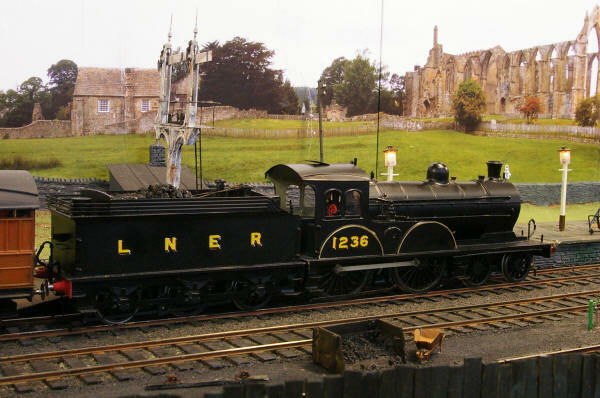 Scale: 7mm/ft, Gauge: 32mm (O), LNER, 1937. Terminus of fictional branch from Ilkley to Bolton Priory with private line to sawmill and quarry on Devonshire estate. 20ft x 3ft (6.10m x 0.92m) overall, plus space for operators. More details, photo album and layout plan available on this website by clicking on layout title above. Scale: 4mm/ft, Gauge: 18.2mm (EM), shunting puzzle based on LNER practice.